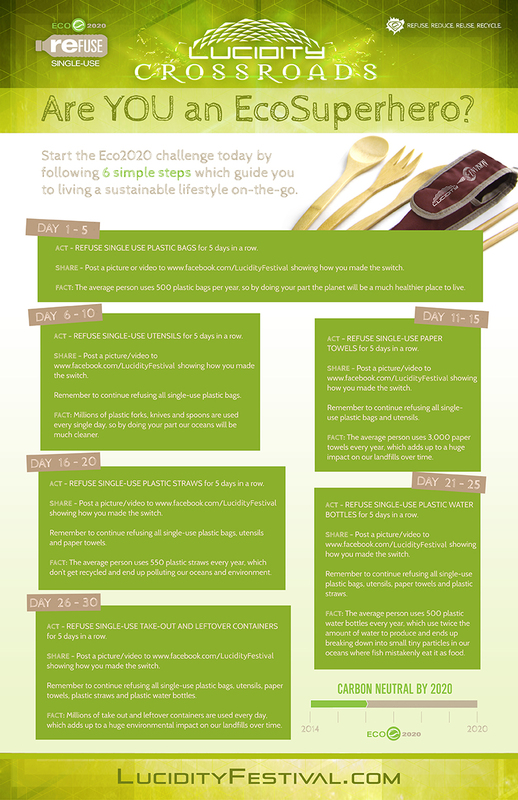 In the spirit of all things green, we offer you the Eco2020 Lucidity challenge! We’ll be promoting social responsibility by offering daily solutions to live as stewards of the environment. Our goal is to inspire and empower people to take daily actions which have a positive impact on our planet in the quest to become carbon neutral by 2020. 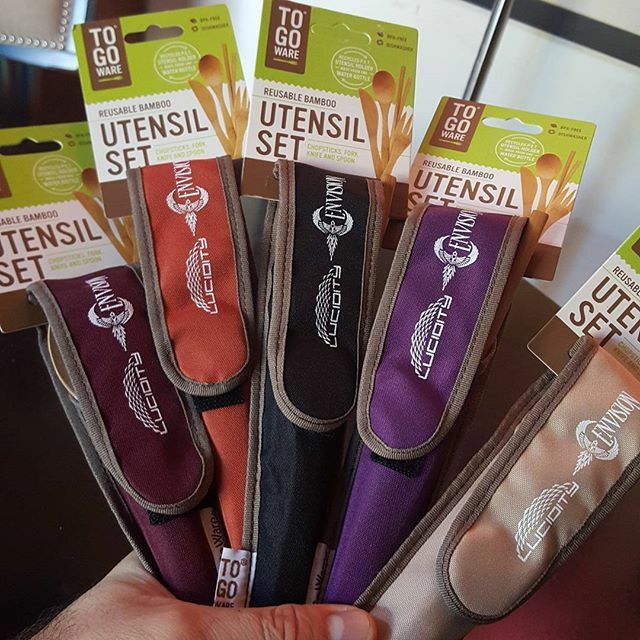 We will choose two winners every week from now until the festival and winners can pick up their To-Go Ware utensil sets at Lucidity!